This Tuesday is the yahrtzeit of Rav Eliezer Silver, founding rabbi of our shul and one of the greatest rabbinic figures in American Jewish history. Although it would be better if we could discuss his legacy more often, we’re often so busy with the present challenges and work of our community that it can be difficult to devote the proper attention to remembering his historic personality and contributions. But at least we have this annual week to remember his legacy and, more importantly, to study some of his actual Torah thoughts and writings. Rav Silver, or Reb Leizer Silver as he is known in the yeshiva world, was a man of tremendous energy and accomplishments, which spanned Holocaust rescue efforts to building early American Orthodoxy to being one of the most renowned Talmudic scholars of his time. It is this last description which always moves me personally. 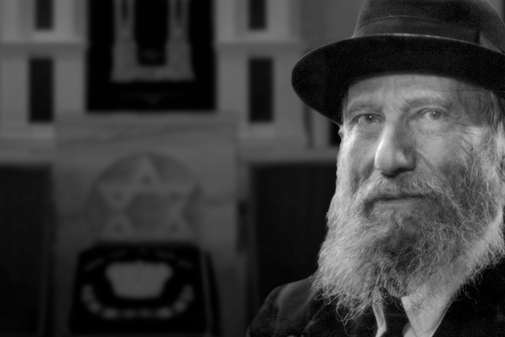 Rav Silver was one of the last of the community rabbis who were active in their shuls and communities, while also being completely immersed in the world of complicated Talmudic study. Rabbi Aaron Rakeffet has written a popular and important biography of Rav Silver, and in there he focuses on this tension and how historically the role of Torah authority shifted from the community rabbis to the roshei yeshiva (heads of yeshivas.) I don’t believe this was a historical trend, but rather an accurate reflection of the practical knowledge base these respective figures had. In the past communities would hire renowned rabbis and pay them largely to study, so the greatest rabbis preferred communal positions. In America, communal work demands more time and energy and so the greatest scholars opted for the life of the yeshiva. But the principle remained largely the same: the leadership of authentic Judaism is always with those who are the greatest students of Torah. So Rav Silver was in many ways the end of a tradition: the communal rabbi as first-rate Torah scholar. In his generation already the majority of his colleagues who were top-tiered Talmudists were no longer in communal positions. But at the same time: Rav Silver was merely a continuation of a longstanding tradition that Jewish leadership is entrusted to those who immerse themselves in the study of Talmud and complicated halachic analysis. At KI we are blessed to be so closely connected to Rav Silver’s legacy through his many years of service to our shul and his son, Rabbi David Silver’s, lifelong devotion to building our community into a place of Torah study and Jewish observance. Whenever I reflect on all this I am reminded and inspired anew by the tremendous accomplishment of Rav Silver, to have been an active rabbi, with all the demands that makes on one’s time and energy, and to still find the time and energy to continue to study at such a high level. When one looks at Rav Silver’s books it is amazing to remember that he was so heavily engaged in the shul we are in right now and building our community, much the same way we are doing now. At a time in Jewish history when Rav Silver’s legacy is in danger, both from the left and the right, it is worth reviewing some of the major lessons of his life. On the left, his synthesis of Jewish community and intense Torah study has been all but abandoned. This group often views Torah study as no more than weighing in on current political issues and other more superficial ways of approaching Torah. The notion of high-level, complicated halachic analysis is often lost to these people. But the more surprising development is that, my impression is that, much of the right has also failed to recreate this unique synthesis. In this group you have an amazing flourishing of in-depth Torah study, but that very often does not come with the same attention to community that Rav Silver had. Here was have Torah which often creates certain barriers to connecting with others, who don’t look and sound exactly the same. Rav Silver’s Torah study was very different; instead of alienating him from observant but different types of Jews, it connected him. It was his vast learning which allowed him to connect with Torah figures from the across the spectrum, from Rav Soloveitchik to the Gerrer Rebbe, from Rav Aharon Kotler to the Lubavitcher Rebbe, from Zionists to non-Zionists, from young American rabbis to older European colleagues. Rav Silver had warm personal relationships with any great rabbinical figure or group of rabbis who were committed to the study of Torah and authentic Jewish observance. He transcended many of the ideological divisions we are used to and brought together in his personality diverse streams of Jewish living. This ability to connect with so many different types of Jews was rooted in his vast knowledge of Torah, and through his life we begin to understand one of the reasons for the centrality of Torah in Jewish practice. One could wonder, why does studying our holy texts need to be so central to Judaism? One important aspect of Torah study is that religions can very often arouse strong passions and lead to forms of extremism. That is to be expected when dealing with something as meaningful and important to people as religious faith. The concern is always that it may lead to denigrating those who do things differently, passionate commitments can create an aversion to those who disagree. Judaism avoided this downside by placing the study of Torah front and center in the observance of Judaism. Intellectually based systems are by nature more tempered and less susceptible to excluding others for small minded reasons. We see this today in our politics. The people hurling insults at each other online are not PhD’s in Political Science, who, though they still disagree, do so in measured tones. Rav Silver’s Torah was reflective of this elevated stance. 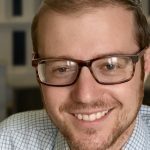 His knowledge of Torah allowed him to connect with those who looked and thought very differently, but they shared a passionate commitment to the study of Torah and so they had more in common than what divided them. In our world where people who study Torah, observe halacha and are totally committed to Jewish living, can see someone with the same values but a different colored yarmulke on their head and see nothing in common, we have much to learn from Rav Silver. Great scholars of Torah can connect with each other through study of Torah. When Rav Silver met diverse, towering Torah scholars, I imagine first they discussed Torah and only then whatever, less important, ideological issues divided them. Many of their students, who are not on the same caliber of knowledge, have inherited the ideological views, but not the understanding that comes from broad, outstanding knowledge of Torah. And so Rav Silver’s legacy continues to shine as a beacon for us and to impart crucial lessons about Jewish living.